The disposal of human waste near its source is certainly not a new concept (cesspits, anyone?). Neither is the idea to capture and treat wastewater on site. In fact, many septic systems in use today are based on technology developed in the late 1800s. 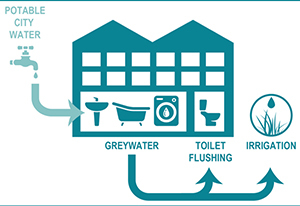 Since the modernization of sewers, decentralized wastewater treatment has long been relegated to the realm of the rural, or considered a temporary solution when connection to public sewer service is not possible or practical. But this is changing. 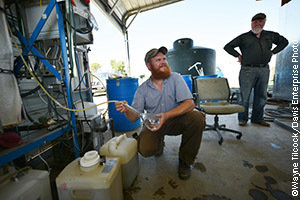 A rising tide of environmental, public health, and economic concerns related to the realities of water scarcity, aging infrastructure, and new pollutants in the form of chemicals, hormones, pharmaceuticals, and microplastics, is generating a wave of innovation and interest in decentralized wastewater treatment/reuse systems as powerful tools for sustainability and resilience. This wave has not yet crested, and we are eager to jump in. We begin by chatting with Jeff Moeller, Director of Water Technologies at the Water Environment & Research Foundation, who tells us how the water quality industry is moving innovation into practice. Next, we talk with three innovators. Pioneering ecological designer/engineer John Todd describes the origins and evolution of Eco-Machines,™ systems in which life, rather than inert objects, does the “heavy lifting” of water purification. Engineer Michael Ogden’s expertise on constructed wetlands for wastewater treatment and reuse has been sought by communities throughout the world. Here, he shares some with us. Want to hear about an innovative decentralized wastewater treatment/reuse system from someone who lives with it every day? 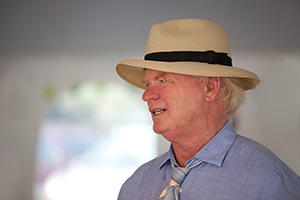 Meet Jeff Moyer, Executive Director of Rodale Institute. 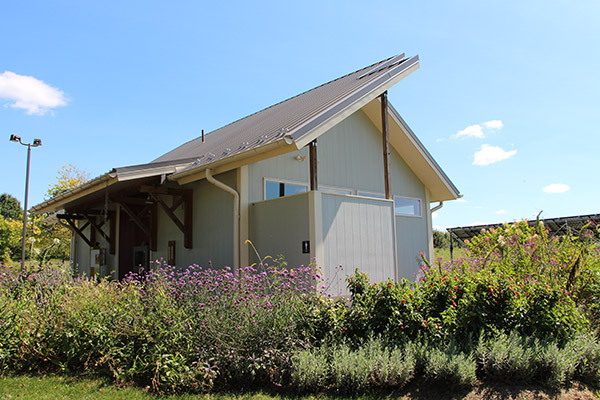 Jeff describes the many reasons why the Water Purification Eco-Center at Rodale Institute’s new visitor center is a fitting system for a nonprofit organization devoted to improving the health of people and the planet. Designing an innovative decentralized wastewater treatment/reuse system is one thing. Installing, operating, and maintaining it is quite another. Just ask Biohabitats’ senior engineering technicians Ryan Case and Olin Christy. They tell us what to look out for When the Sh*! Gets Real. To learn more about sustainable decentralized wastewater treatment and reuse, please explore the many web sites and publications listed in the resources section. We have also included a glossary of terms you might find helpful. What’s new at Biohabitats? A few faces, some new places, and lots of exciting work, including several projects involving decentralized wastewater treatment and reuse. Check it out! As always, let us know what you think.